Home / brand new / brand new artist / música / Rich Hennessy / Rich Hennessy Unveils New Single "Dodged A Bullet"
Rich Hennessy Unveils New Single "Dodged A Bullet"
New York City-based pop singer/songwriter Rich Hennessy has just unveiled his brand new single Dodged A Bullet, an anthem for all those that are glad a relationship didn't work out. We all have that ex we're glad things didn't work out with and this is a perfect song for that. Musically it sounds very Shawn Mendes meets Charlie Puth with its cool guitar-based melody and infectious pop hook. 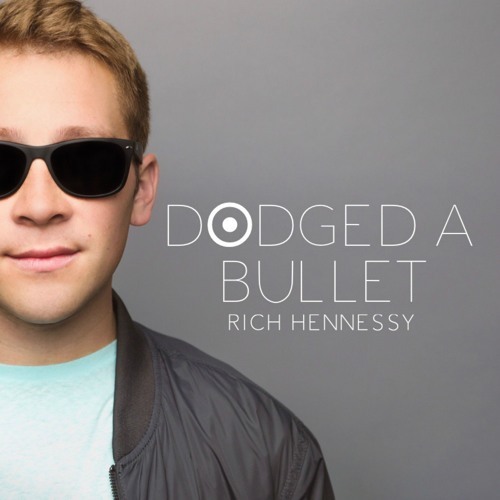 Rich has quite the smooth vocals, perfect for this super radio-friendly upbeat pop genre. Stream it below!